Hahaha this is me to a tee! I love, love, LOVE being outside in the warm weather and most definitely get grumpy when I'm cooped up inside for too long. It is the last week of March, which is both exciting to me and a little terrifying at the same time. Where did this month go??? Next month we have Spring Break (woohoo! 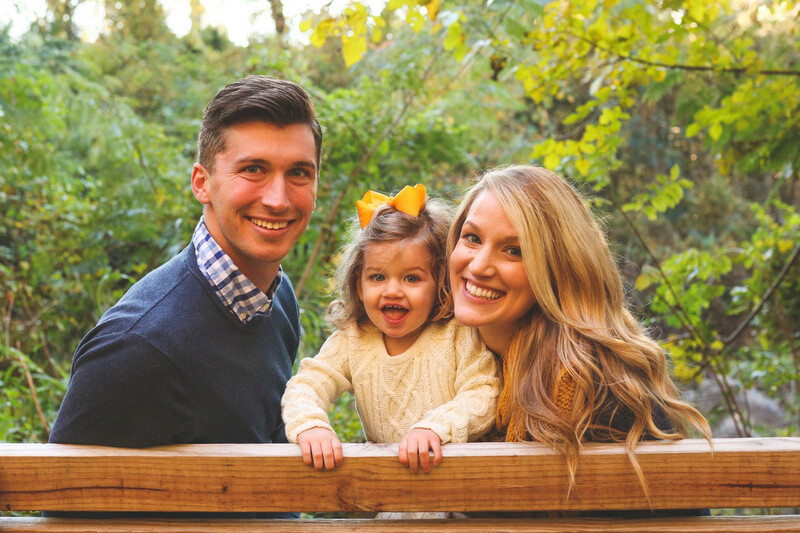 ), Devin's birthday, and a 2 year old birthday to plan (how is this possible?!). Needless to say I am going to need to be at the top of my organizational game! 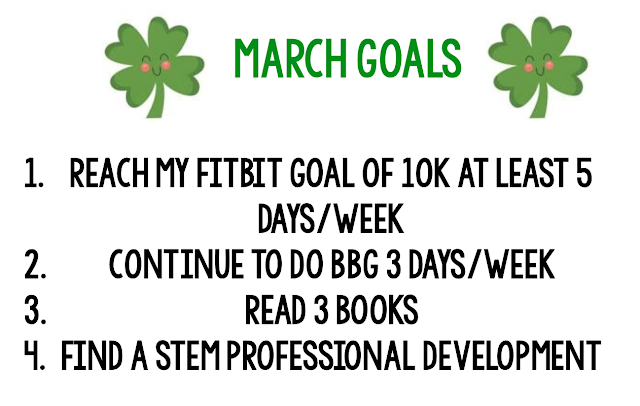 Before we begin, let's take a look at my attempts at March's goals, shall we? 1. Reach my Fitbit goal of 10k at least 5 days/week-- I mean, can we round up if I only made it 2 days/week? Yikes! This month was busier than anticipated with trying to sell our house, so getting out for my nightly walks most definitely did not happen. 2. Continue to do BBG exercises 3 days/week-- Nope again. I did get 2/3 most weeks and I think I was 3/3 one week. 3. Read 3 books- I actually did do this one! Unfortunately I only loved one of them, and one of them I expected to love because it was on Reese Witherspoon's book club and has been all over the blogs I read but ya'll-- it was TERRIBLE! I don't understand what people are seeing in this book?! My girlfriend Erica reads a lot too and she said she couldn't even finish it. My third one was only okay, which was unexpected since I love the author! Can't wait to tell you more next week. 4. Find a STEM Professional Development- YES!! Not only did I find one, but I found an AMAZING one that I am really looking forward to in Boston in May! 1. 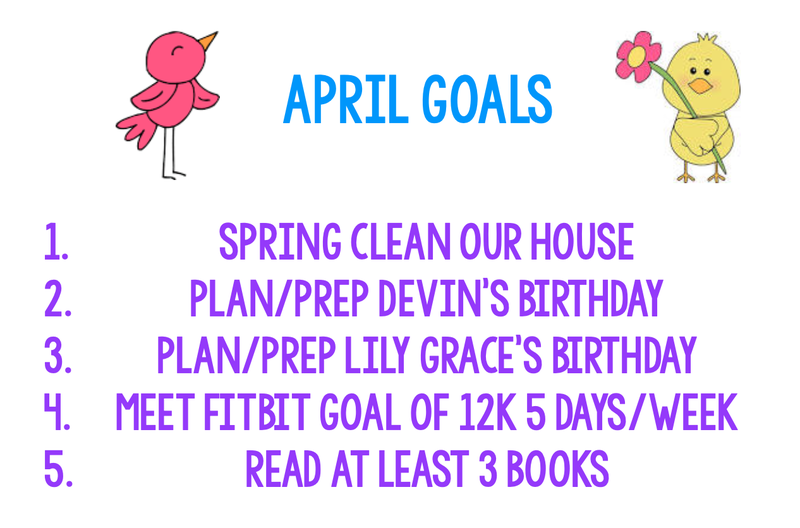 Spring Clean Our House- This hopefully won't be too difficult since we have our house listed for sale right now anyway and had to do most of our spring cleaning items about a month ago. I can just touch up what we did a little while ago and keep it fresh. 2. Plan/Prep Devin's Birthday- Devin and two of our other really close friends share the same birthday week so we typically do one big gathering to celebrate all three of them. This year they plan on doing a Game of Thrones theme (I guess this means I need to finally jump on the bandwagon and watch the show-- but I'm so hesitant!). I don't imagine there being a lot of prep work involved in this, mostly just make sure everyone is on the same page. 3. Finalize a theme and location for LG's 2nd birthday no later than April 10th. Once we have a theme and a location, I can figure out the rest of the details from there. 4. Really and truly meet my Fitbit goal of 12k at least 5 times/week. 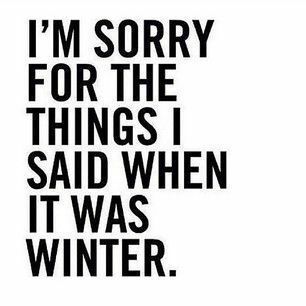 I mean the weather will be warmer, I will have no excuses! 5. Read at least 3 books. These past few months haven't been the best for reading-- I seem to keep picking one dud after another. I'm hoping for a really good book that gets me back into being motivated to read again. Good luck!! I love planning bday parties too! I have a fitbit type of watch coming this week and I can not wait to set daily activity goals; hopefully it will help me meet my health goals for the year. Oh you'll love it!! Mine has made such a difference!